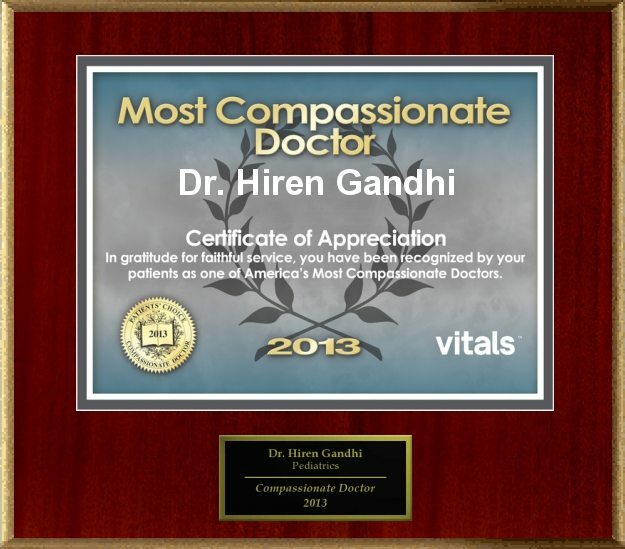 Dr. Hiren Gandhi has been recognized as 2013’s Most Compassionate Doctor by Vital’s Patient Choice. 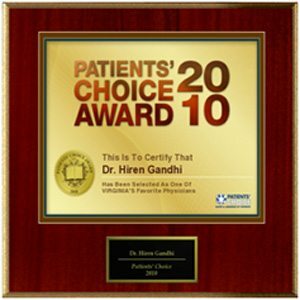 After vaccination, children may be fussy because of pain or fever. To reduce discomfort, you may want to give your child a medicine such as acetaminophen or ibuprofen. See the attached dose chart. Do not give aspirin.